There’s a new fly fishing film event coming our way, and this one is all about Montana. 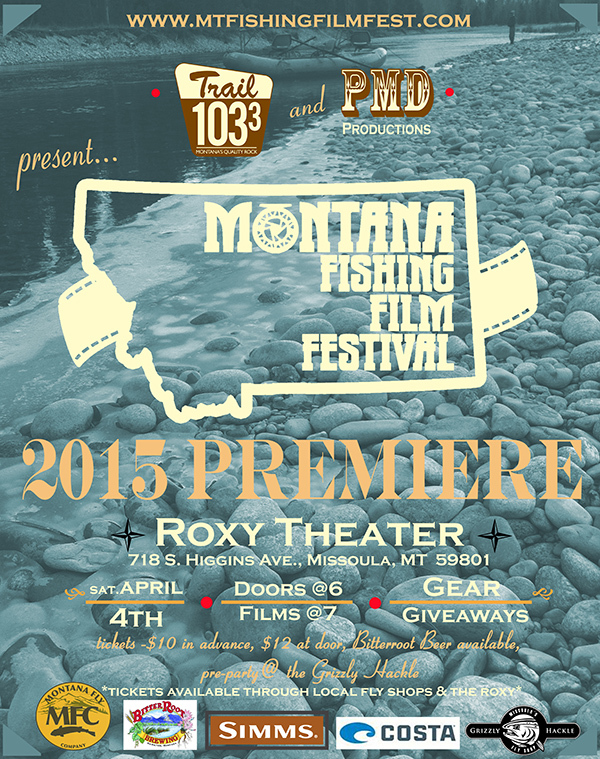 The Montana Fishing Film Festival (MF3) features films created largely by Montana film-makers, with most of the content shot right here in our home state. If the trailer is any indication, this looks to be one fly fishing film event you won’t want to miss. MF3teaser2015 from Matt Devlin on Vimeo. The premiere show is scheduled for Saturday, April 4th, at 7pm at the Roxy Theater. The Grizzly Hackle will be hosting a pre-party, and there will be fun gear giveaways and tasty Bitterroot Beer on hand at the show. Tickets are available at Missoula-area fly shops and through the Roxy Theater.